Earn yourself a FREE Awesome Box! 1) Make an original recipe using as many or few flavors as you like - but ONLY from the standard or premium flavors in the February 2017 Awesome Box (list below). 2) Share the recipe on All The Flavors. (Use the gift code AWESOMEBOX if you don't have a pro account) before March 10th. That's it! This is a public recipe contest that is open to EVERYONE - even CokeCan ... and it will be judged by the community, not a special set of judges. The two best recipes, as chosen by the All The Flavors community will receive FREE Awesome Boxes! If you've already bought one, you'll get the next one free! 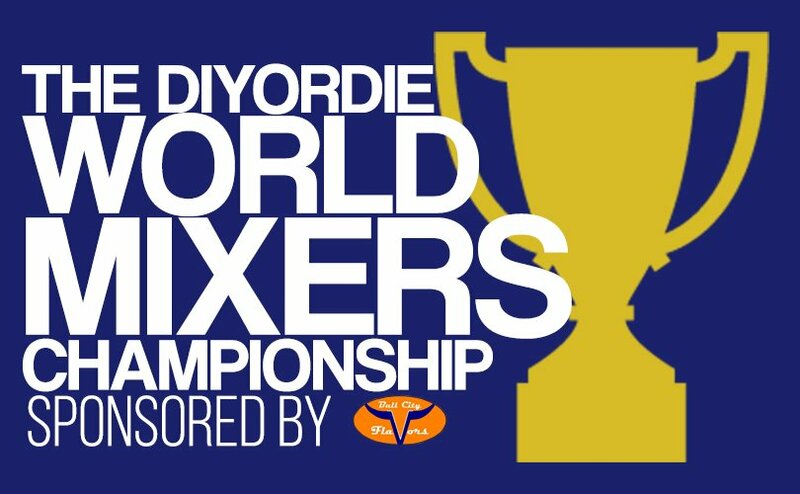 This is the 2nd DIYorDIE World's. Top mixers from around the world will battle it out in a series of rounds displaying their skills crafting recipes under strict circumstances and restrictions. This competition will test the skills of the mixers, giving only a small amount of time for recipe development and steep times for the eliquids. Because of the HUGE cash prize, and a lot on the line, judging will be harsh and critical. All recipes from the competition will be released to the public so the audience can mix along. The purpose of this competition is to find the best and most passionate mixer of the group, and give them the push they need to take their mixing to another level with a nice boost of cold hard cash. And also, it's fun to watch mixers go at it. The only way to enter is to be nominated. At 3pm Sunday (1/7/17) there will be form on diyordievaping.com that you need to fill out, putting in your nomination. You cannot nominate yourself. Your nomination bust have a record of recipe mixing, with either an account on ELR or ATF with at least 3 recipes submitted before 11/10/16. You DO NOT need to be a 'DIYorDIE Member' to nominate or be nominated, anyone from anywhere can join. The FIRST 30 nominations that meet the requirements will be entered and their names announced both on the webpage and on Facebook. The Nomination period ends on 8:30pm est Thursday (1/12/17). From there no other entries will accepted. After all nominations are made, we will begin with round one. Each round will define a new set of restrictions to create a recipe under. The following week you will be judged, and 10 will move on. This will follow until 1 is left standing. Only TFA/CAP/FW/FA/INW flavorings will be accepted. Time is your enemy in this competition as you will need to craft your recipe and get it in our hands on the following TUESDAY at 8pm. The recipes will then be vaped and judged on Thursday and winners of the round announced on ITMPodcast at 9:30pm EST. If a recipe is not submitted by 8pm tuesday, your out. This is not "MIXXED" there are no "set" ingredients. Use what you want (but remember TFA/CAP/FW/FA/INW). The only way you will be limited is with time and amount of flavorings in the recipe. So make sure you grab whatever flavorings you need BEFORE the round begins. Good Luck! I will take questions in the comments. If you do not make the "entry" level do not worry, you will have a chance during the next competition. We do not want this competition to last 4 months, so we need to restrict the number of entries. Also, disqualifications are at the discretion of myself, and the other judges. As long as you're respectful and play by the rules, you have nothing to worry about. use this code to help make purchasing flavorings for the comp a bit cheaper. BullCityFlavors.com is the main sponsor of the championship and has really helped make this competition bigger than ever. DIYorDIE thanks the BullCity team for their support in making this happen. AlltheFlavors.com is another sponsor that has been a tremendous service for the championship. Their amazing service allows us to funnel recipes in anonymously for completely unbiased judgement, as well as being a great place for mixers to showcase their work. This contest is only open to the winners of the previous round. We are proud to announce All The Flavors and E-Cig Express as official sponsors for our contest. They will be helping facilitate prizes for the winners. The Basket Ingredients - You must use all basket ingredients assigned to you. They must be present and noticeable in your final product. These should be the showcased flavors of your juice. Presentation - You must include a description with your juice detailing what your were aiming for, how it turned out, and what we should expect when vaping your juice. Does your description match what the judges experienced? Is it good? - Very simply put, is this something I would want to continue vaping. Would the judges add it to their weekly rotation? Did you utilize the best additional ingredients possible to elevate your juice from good to great? Leaving out a piece of the criteria will not be an automatic disqualification, but it will be weighed very heavily against you at the discretion of the judges. Each round will consist of a designated list of basket ingredients that must be present in your juice. You can use any flavor, up to the max number of allowed flavors for the round, from the vendors listed below to help augment your final product. While not forbidden, you are highly encouraged to not use flavors containing fructose. Sweeteners, including Ethyl Maltol, Maltol, Sucralose, and Erythritol, will be considered free ingredients and do not count against your additional flavor total. All submissions must be made to All The Flavors. You can use a free membership to submit your recipe if you do not already have one.